A$AP Rocky has respect for some of the illest women in hip-hop like Young M.A and Rico Nasty. During his interview with Angie Martinez on Wednesday (Jan. 16), the leader of the A$AP Mob discussed a few of the artists that will be showing up to the fourth annual Yams Day in Brooklyn. After mentioning Ski Mask The Slump God and Chief Keef would be in the building, the “Tony Tone” rapper revealed that Young M.A would also be performing. 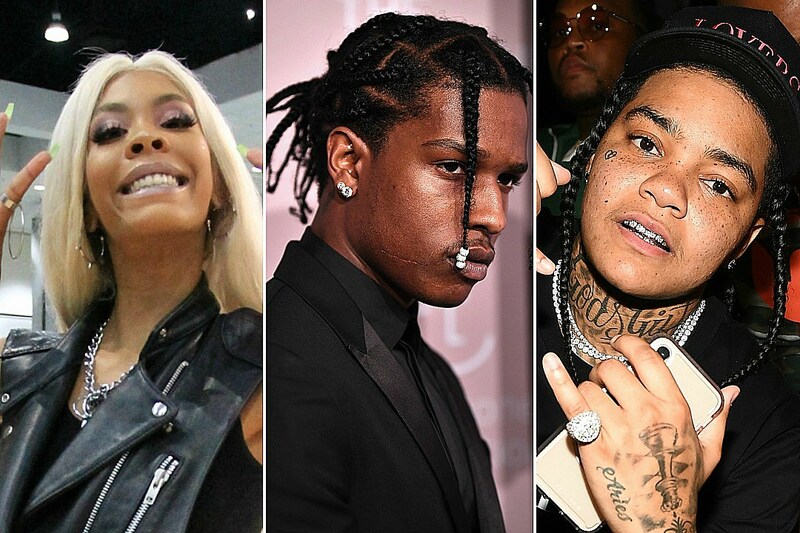 Once Angie gets hype about the “Ooouuu” rapper’s scheduled appearance, Rocky confessed that he thinks M.A and Rico Nasty are some of the illest female rappers in the game. After he puts the Power 105.1 show host onto Nasty, Rocky explains why he’s down for both rappers’ style in the recording booth. He appreciates the way they market themselves without what he feels like is being overly sexual. Watch A$AP Rocky give Young M.A and Rico Nasty their props below.